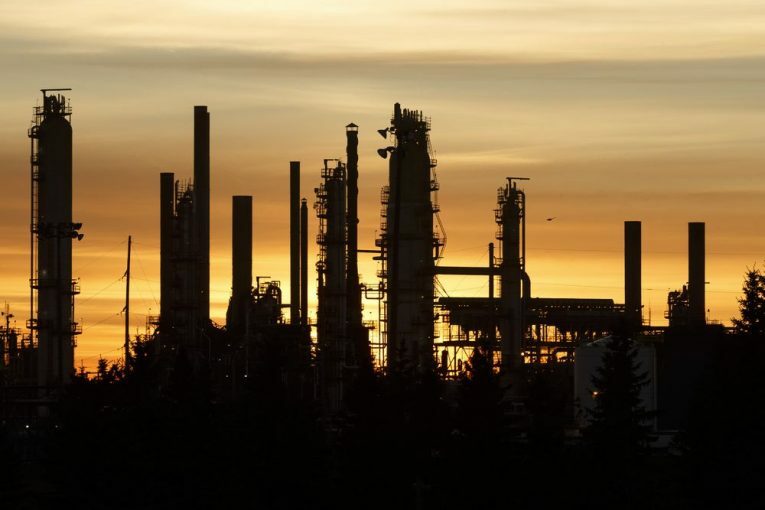 Imperial Oil Ltd. reported a smaller third-quarter profit compared with a year ago when it benefited from the sale of its retail sites. The Calgary-based company said it earned $371 million or 44 cents per diluted share in its third quarter compared with a profit of $1 billion or $1.18 per share in the same quarter last year. The year-ago results included a gain of $716 million or 84 cents per share from Imperial’s sale of 497 Esso-branded gas stations. The company continues to supply fuel to the stations, and in the last quarter the company saw the first Mobil-branded gas stations open at Loblaws sites, where it will also be the exclusive fuel provider. Imperial made a deal earlier this year with BG Fuels to convert 213 Loblaws stations to the Mobil brand, which, combined with the Esso network, will bring the number of gas stations it supplies to more than 2,000 across Canada. The company said it also continues to convert Husky commercial gas stations to the Esso brand as part of a deal struck in 2015. “We have an organization-wide focus on optimizing our integrated business model and capturing opportunities in the market,” said Rich Kruger, CEO of Imperial in a news release. Total revenue and other income in the quarter was $7.16 billion, down from $7.44 billion a year ago. Production averaged 390,000 gross oil-equivalent barrels per day, compared with 393,000 barrels per day in the same period of 2016. The company’s capital and exploration spending in the quarter came in at $159 million, down by $46 million from the same quarter last year. Imperial said improved performance at its Kearl and Cold Lake operations were offset by the impact of the Syncrude Mildred Lake fire and the continued shutdown of Norman Wells due to the Enbridge Line 21 precautionary pipeline closure.